In 1976, Taineea was established in Kaohsiung City. Until now we have more than 40 years of professional processing technology and experience. In early stages, our core business was focused on clothing accessories such as shoulder pads, chest pads and other products based on the clothing industry. Afterwards, we expanded many kinds of foam materials such as PU, PE, EVA and rubber in order to adapt to the situation changes. And set up kinds of processing facilities because of changing needs of different industries. We are the first lead to establish the clean room in our industry and derive the medical grade standard ISO13485. 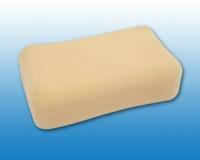 In 2011, we signed up the agreement with a German PU foam manufacturer and became the agent in Taiwan. Therefore, our product lines are more diversified. Our company’s goal is to satisfy various needs of customers in different industries. Products: auto accessories, medical supplies, baby supplies, sponges for ski goggles & sports glasses, filter sponges, packaging materials, cleaning sponges. 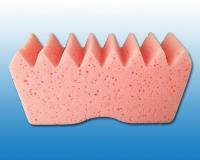 Supplied clothing accessories such as shoulder pads, bras and other foam materials. 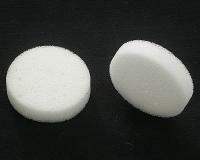 Cooperated with 3M and supplied Melamine sponges in Taiwan, Singapore and Philippine. Set up clean room and qualified as ISO13485, entered the field of supplying medical materials. 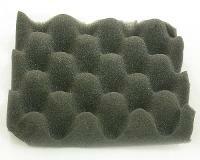 Imported PE foams expanded with pure nitrogen, and the applications are packages of orthopedic implants, static dissipative foam packages for Hi-Tech factories, spacers for optic lens, conductive foams for IC assembly factories. Cooperated with the government and supplied foam filters to the water treatment plant therefore the plant can provide better water to south Taiwan. We are a professional OEM factory and able to customize the goods according to your needs such as sizes, shape and packaging. 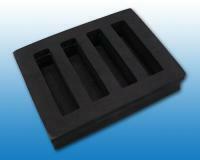 Foam materials have a high degree of processing characteristics, and it can be developed and manufactured to exclusive products as your design. We are looking forward to your idea and customize your own hot products. You are welcome to send us any inquiry by e-mail or telephone. In response to the global competitive environment, the company’s tactical planning is to expand markets in European and Asian countries. In addition, we continuous improve both hardware and software of our company, and our professional product line can complete top products. Provide you the most appropriate, affordable, timely and diversified products and services. Our partners includes the major private enterprises and the government water purification plant, Taineea looks forward to cooperating with you as "best business partners." Copyright© 2017 TaiNeea Enterprise Co., Ltd.